…shuck ’em. You just might find a pearl! So you didn’t get exactly what you wanted for Valentine’s Day. No need to whine or complain! Put any hurt feelings away, along with the jumper cables in the pink tote bag that he lovingly presented to you over a beer at the local sports bar. This is your perfect opportunity to plan your pre-gift strategy for the next big holiday! Empower your man by providing a little road map to your heart. You can either tell him outright what you really want, or just drop a couple of hints to steer him in the right direction (check out the “Send a Nudge” buttons on our site, for example!). 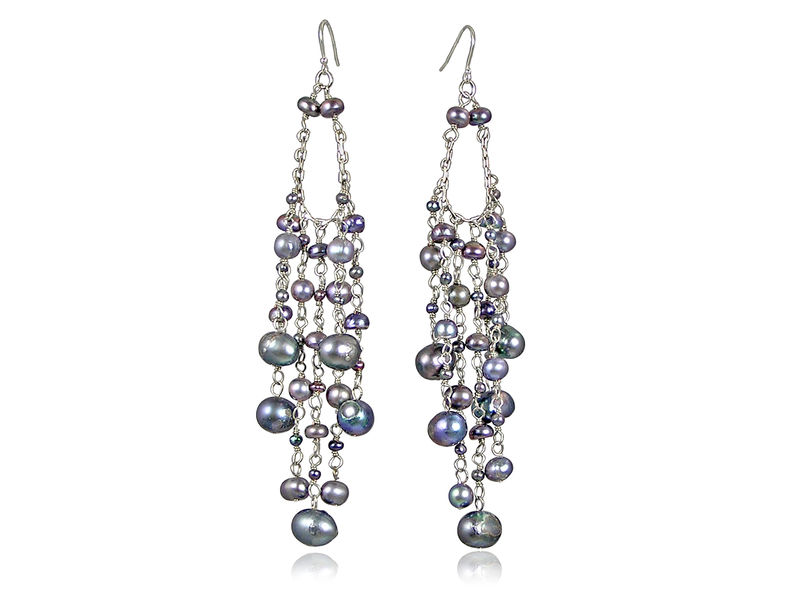 Tell him about Pearls International’s dazzling jewelry! 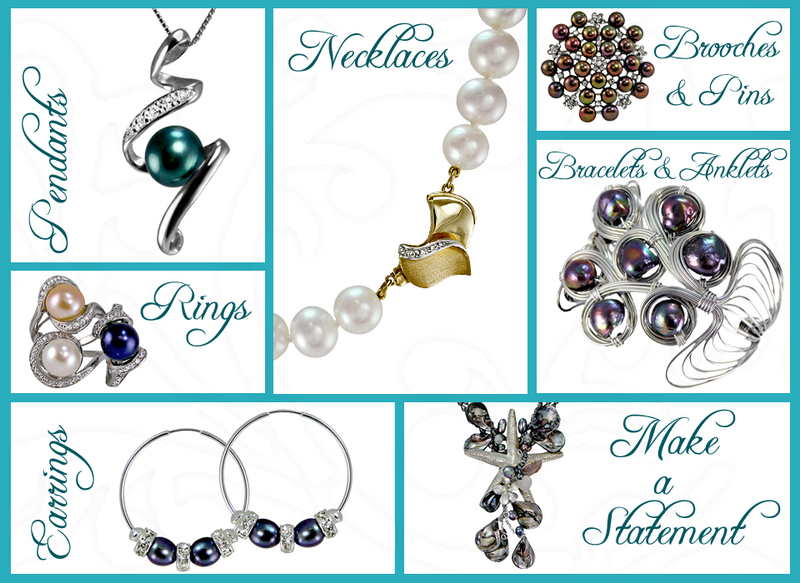 Just a few pieces of our jaw-dropping pearl jewelry! 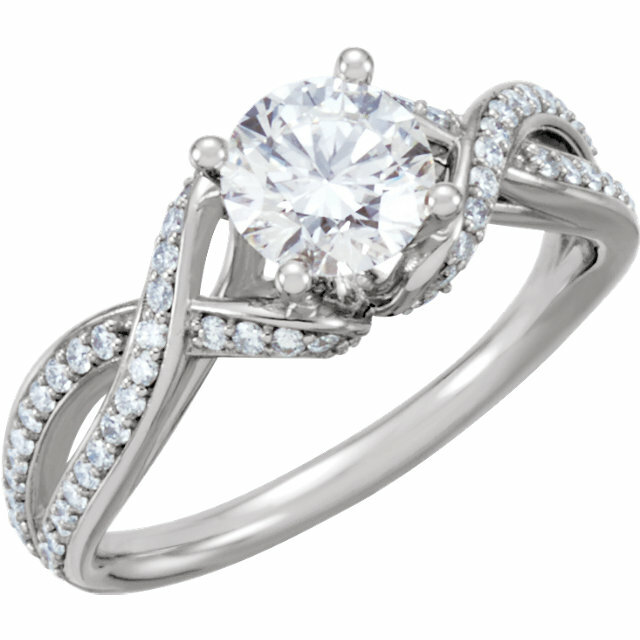 You can choose a stunning gift for yourself from our endless selection of beautiful jewelry and put it on our registry! Tell him about your wish list and let him be the hero! We have Pearl Girls standing by just waiting for your guy to come by or call so we can skillfully guide him to make just the right purchase for you! You’ll be happy that you got what you really wanted and he will feel like a million bucks! (Not to mention he’ll be thrilled with the stress-free shopping experience, the 100% Satisfaction Guarantee, and the FREE Shipping on orders over $99!) It’s a win-win situation! Valentine’s Day is over, but there are endless opportunities for you to ever-so-selflessly empower your man to make the right choices. 😉 Is your birthday coming up? If not, no worries, the anniversary of something or other is always right around the corner. Hint away! We at Pearls International believe in the power of the pearl. We also believe that there is no better place to find it than at Pearls International Jewelers. Check out our website or stop by to experience the power of the pearl! Note for the Guys: Jumper cable idea went over like a lead balloon? Still in the doghouse about the vacuum cleaner? Better give us a call at 386.767.3473. We can help. Planning a Proposal? Here’s What You Need to Know. So, you’ve found the girl of your dreams. The one. You’ve seen each other at your best and your worst times. She’s always there to have fun with, support you, and make you laugh. She’s your friend, lover, and confidant. The woman you are absolutely sure you want to spend the rest of your life with. And now you’re ready to take the next step and pop the question. First of all, congratulations! The right match is hard to find, so cherish her! Now that you’re sure you’re ready, though, where do you go from here? The world of jewelry shopping is tough for a guy, and this is the single most important piece of jewelry you will ever purchase. I’ll just let that sink in for a moment. But don’t panic! The experts at Pearls International have all the information you’ll need to choose the ring of her dreams. The first step is to know what your lady wants. Most couples today discuss the idea of marriage before the actual proposal. It’s best find out ahead of time if she is ready. In fact, one of the biggest marriage proposal mistakes you can make, according to The Knot, is to propose too early. Have a mature conversation to make sure your views line up – do you agree on the big questions in life, such as where you want to live and whether or not you want to have children later on down the road? After all, you will be spending the rest of your life together. 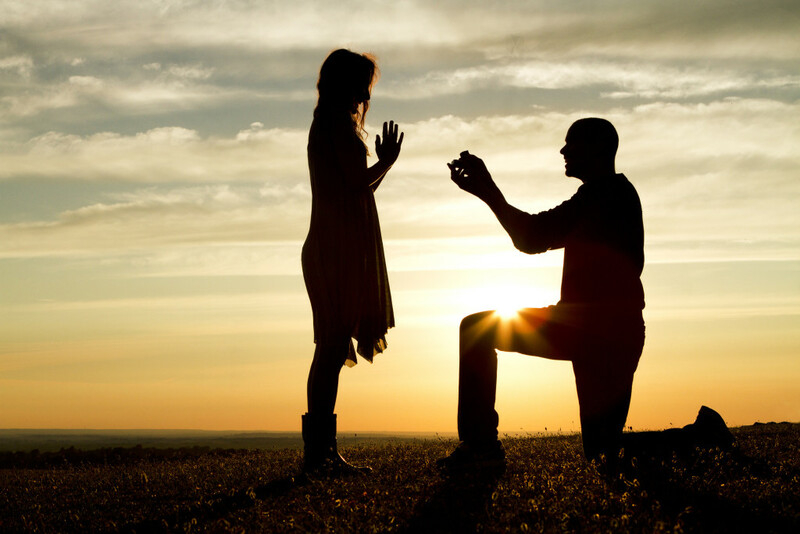 It turns out that most women actually want an intimate proposal, not a public one. Actually, 66% of women wanted their proposal to include just the two of them, while only 3% were dreaming of a public proposal. It’s not necessary to propose in front of an audience, especially if your hopeful bride-to-be prefers to share her love in private. If she’s the type of lady that doesn’t like to participate in PDA, she is probably also the type of lady that would rather have this most intimate moment occur privately. Plus, it gives you time to reflect and celebrate your togetherness before sharing the news with your friends and family. The time and place of the proposal isn’t the only thing you should be cautious about, however. The big deal is the ring. In a survey of almost 20,000 couples, proposing empty-handed was ranked as the #1 worst proposal mistake. The ring definitely makes it real. There’s just something about having the right ring that makes a proposal feel more sincere. Remember, this is the most important piece of jewelry she’ll ever own, and one that will be on her finger every day of her life. When you have that big conversation about the future, it wouldn’t hurt to ask about the ring, too. In fact, over 50% of women said that they had something to do with their ring. What to do if you have a picky lady? You have lots of options! In fact, 40% of women said that they would want to go ring shopping with their future fiancé. You can also use a stunt ring, like Pearl Girl Sophie’s husband, Josh did. You can read the story of her custom designed ring here! 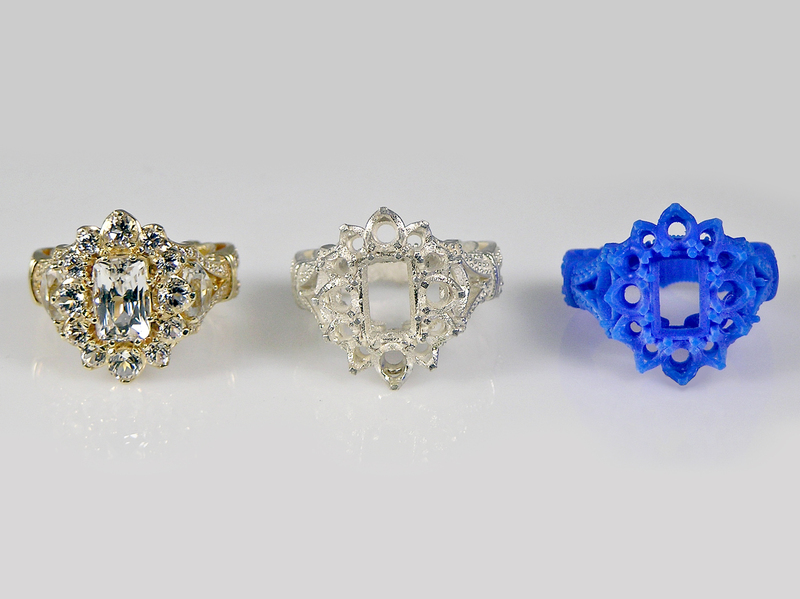 Stages of designing a one-of-a-kind ring. So what is a stunt ring? 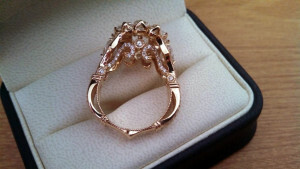 It’s a stand-in, so that you’re not proposing empty handed, but she also is able to get the ring of her dreams later on. A stunt ring can be an old family heirloom, or an inexpensive one purchased from a jeweler that you can exchange for the real deal later. Your wife-to-be may also choose to have this special ring made into a piece of jewelry she can wear every day. If you’ve never heard of it, a Stunt Ring is a time honored tradition for guys who have the good fortune (misfortune?) of falling in love with picky ladies. How much do you really need to spend on a ring, anyway? The good news is that ladies are actually not as set on having an expensive, lavish ring as you may think. 53% of women said they expected their future husband to spend less than $2,500. 30% preferred a ring with a value of $2,500-$5,000 dollars, leaving only 17% of women who expected something more expensive. Is a diamond still the way to go? A classic diamond engagement ring is still the way to go, according to 67% of ladies. Survey says…yes! Although times are changing, 67% of women still prefer a diamond. 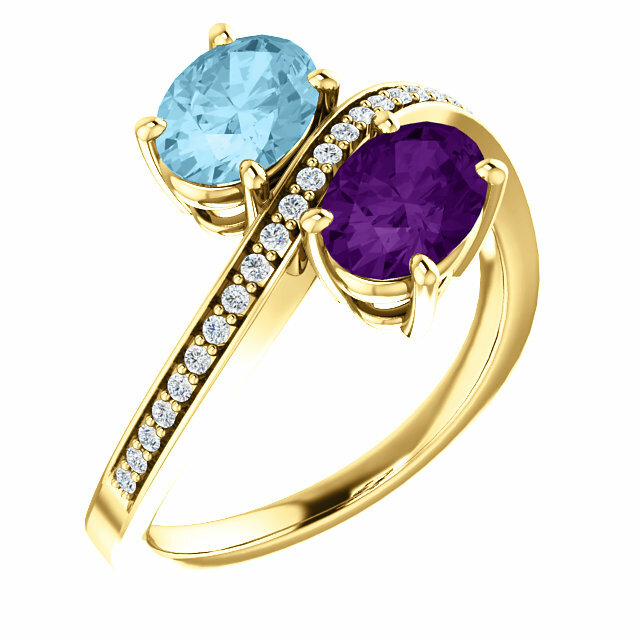 18%, however, would like their ring to feature a colored gemstone. This is another situation where it never hurts to ask! There are lots of lovely diamond alternatives (that are nicer than a CZ) that she may be equally dazzled by. Sapphires are a beautiful choice, and come in white if you want a classic look. 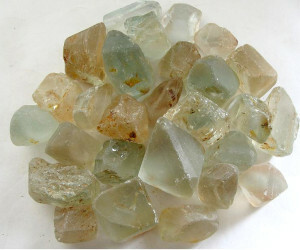 Other popular gemstones such as topaz and garnet are available in colorless varieties. Diamond vs. some popular alternatives. 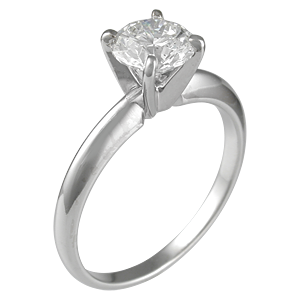 However, moissanite is definitely the #1 alternative for engagement rings that still have look of diamond. 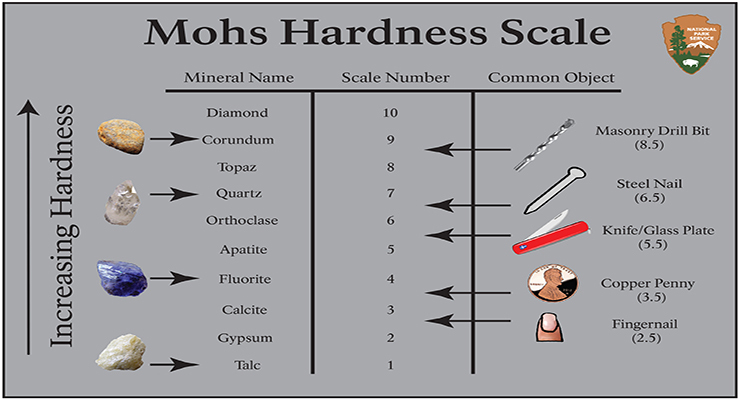 They rank at 9.5 on the Mohs scale (second in hardness only to a diamond), which is important because you don’t want to have to replace the stone later on due to wear and damage. A hard stone will last you a very long time. 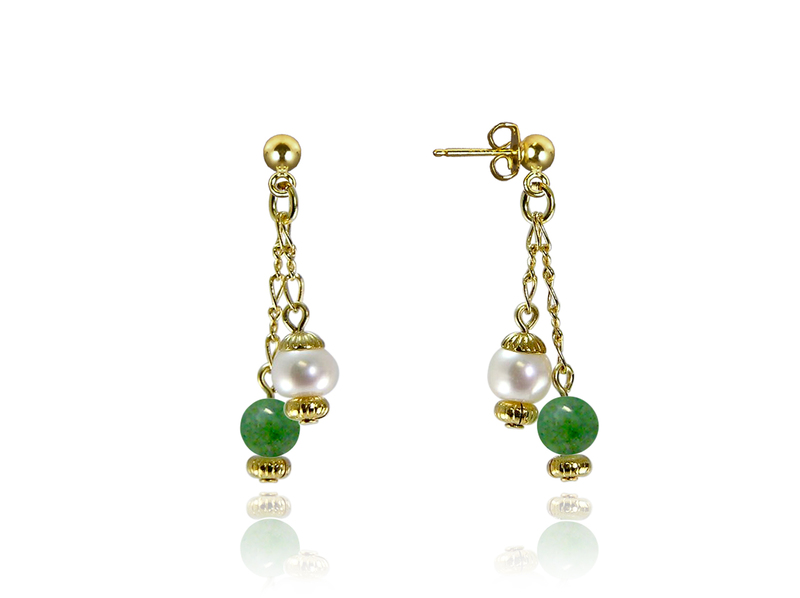 So we don’t recommend pearls (as much as we love them!) 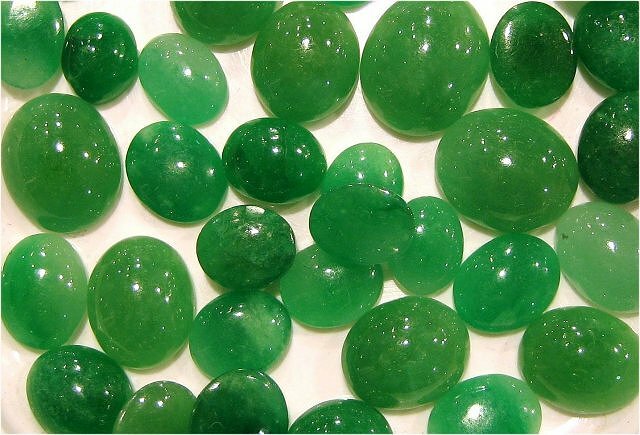 or other soft stones such as opals for a gemstone alternative, because they’ll need to be replaced frequently. If your lady is in the 18% that would like a colored gemstone, we consider sapphires and rubies to be the best choice as they are high on the Mohs scale. 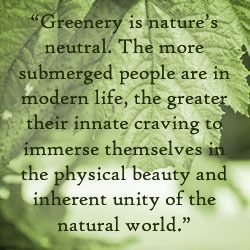 The possibilities are endless, however! There are lots of lovely stones to choose from. Maybe a ‘his and hers’ birthstone ring? Yes, size matters, but it’s not what you’re thinking. This one will surprise you – only 6% of women said stone size was the top factor when selecting their ideal engagement ring. The truth is that the design of the ring it the most important factor to nearly half of women surveyed, surpassing even diamond quality and ring craftsmanship. So how can you be sure to get the style of ring she’s hoping for? You could always just ask – or if you’re set on the ring being a total surprise, ask her mother, sister, or best friend for ideas. Make sure your shopping partner is good at keeping secrets though, because you don’t want your intended to find out about her ring second-hand. 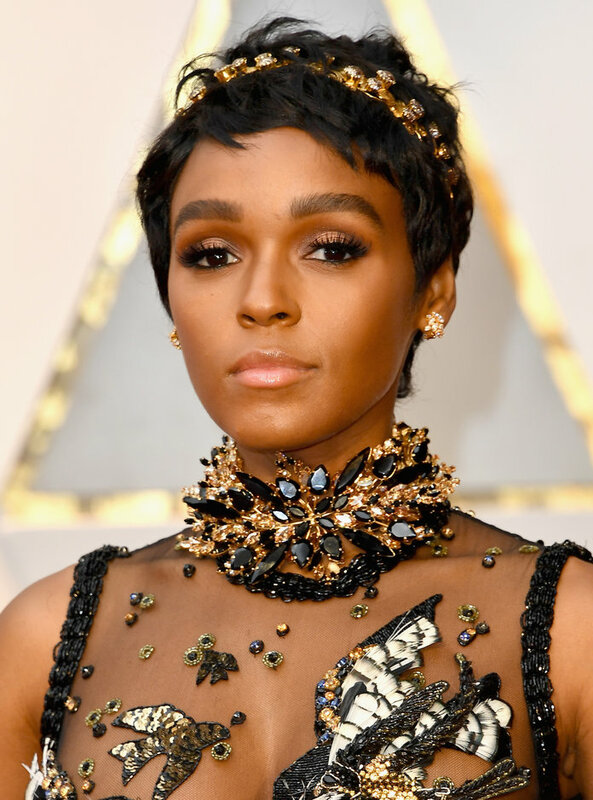 Alternatively, dig through her jewelry box and/or pay special attention to the types of jewelry she already wears. Check the metal types and colors (Are they white, yellow, or even rose? Has she complained of metal allergies? 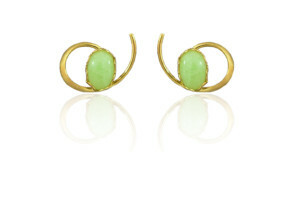 ), size and color of the stones she likes to wear the best, and her overall style. Engagement rings are available in vintage designs for a timeless look, the classic and always popular solitaire, in a range of unique customizable designs and more! 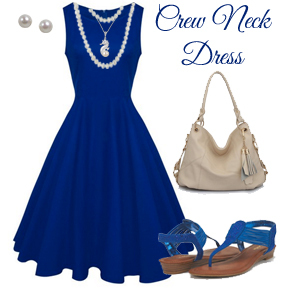 An elaborate vintage style that will impress all of her friends. There is one size that DOES matter – the size of her finger! Ask her for her size, or keep it secretive with our handy ring sizer! She will surely want to wear her ring right away, and you don’t want to have to pay more later to have it adjusted to the correct size. Still shaking at the thought of what to buy? Contact us to talk to a personal shopping consultant! All of our jewelry comes with a 100% satisfaction guarantee, so that if it wasn’t the most perfect ring she’s ever laid eyes on, you can absolutely bring it back for a full refund or exchange. 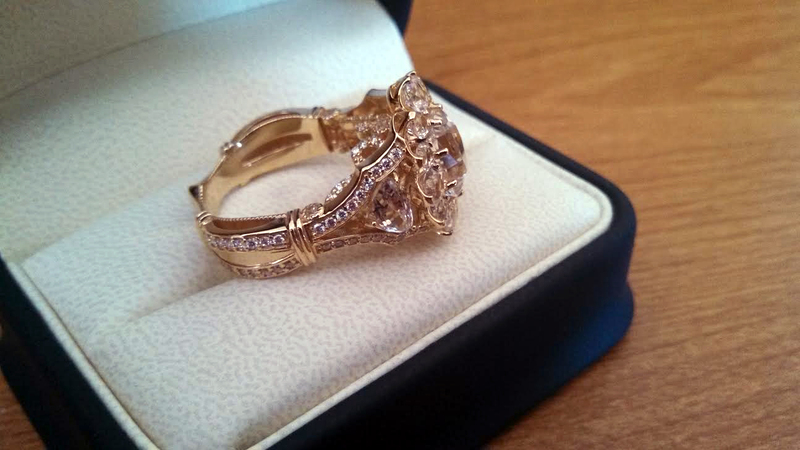 Call us today at 386.767.3473 and we’ll help you find the perfect ring to capture her heart! Introducing… Ariki Paua Shell Jewelry! Pearls International is proud to announce we are expanding our inventory of Abalone jewelry to now carry gorgeous, sustainably sourced Paua shell jewelry in Sterling silver! 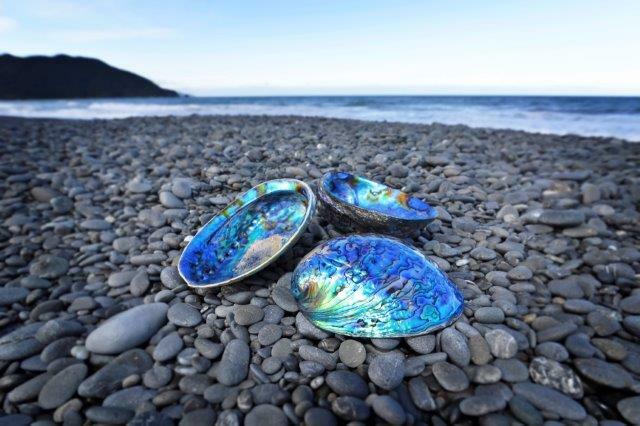 Our new line, from a New Zealand company called Ariki™, includes amazing pieces hand-inlaid Paua shell that have been carefully selected once personally removed from the local waters by divers. The shells are actually a byproduct of fishing for food – so every part of the Abalone sea snail is used, which we though was super cool, because sustaining our sea life is very important. After all, the ocean makes up 71% of our Earth – so it’s important we take care of it and all the creatures that live there. After each Abalone cabochon has been cut and set into your pendant or earrings, two layers of clear lacquer are added to protect and extend the life of your jewelry. 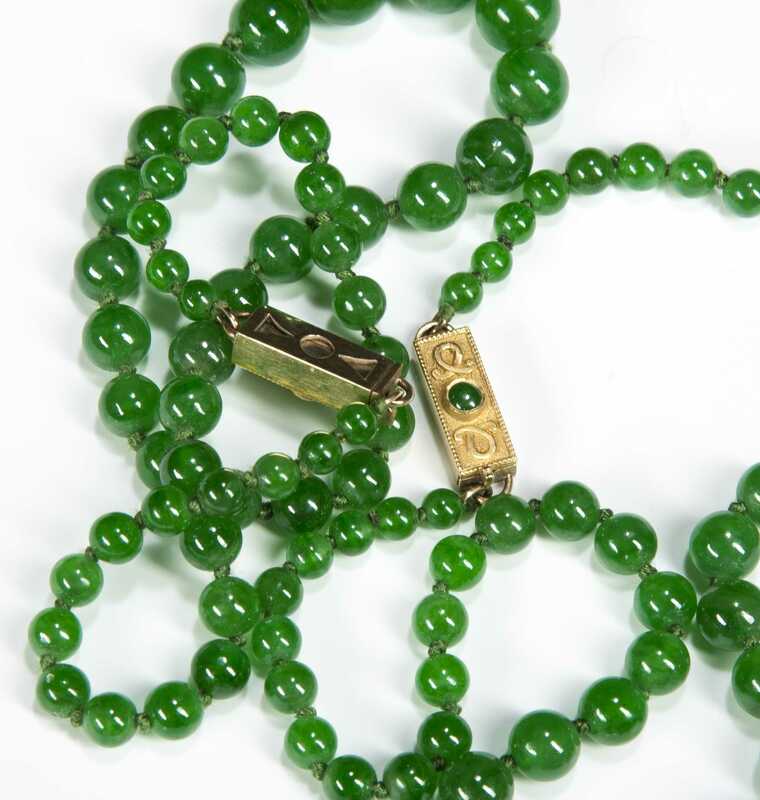 Never expose your jewelry to perfumes, hair sprays, lotion, or other materials containing detergents. With time these may penetrate the lacquer and cause damage to the Paua shell. Don’t wear your jewelry for many hours in the bright sunlight. Remove your jewelry before swimming. Chemicals in the water can damage your shell. Store your Sterling silver jewelry in a jewelry box or other secure storage area when you aren’t wearing it. Believe it or not, exposure to oxygen actually causes silver to tarnish. Clean routinely with a good polishing cloth. We hope you enjoy our new Ariki™ line as much as we do! Stop by the shop today to see all of the beautiful pieces! If you’ve been dreaming of the perfect piece, but everything you’ve seen just doesn’t quite make your heart race, consider having your jewelry custom designed! Pearls International can take your wildest ideas from dream to reality in just a few short steps. Email or call us at 386.767.3473 to find out more! I got married last October. When my husband-to-be, Josh, popped the question, to say he was feeling nervous about the ring was a bit of an understatement. When you’ve got a dad in the jewelry business and you’ve grown up looking at gorgeous jewels your whole life, it really puts a lot of pressure on the lucky guy who steals your heart (Dad, if you’re reading this, you know you’ll always be my first love!). I really can’t even imagine what might have been going through my poor guy’s head when he started considering the options, but Josh is acutely aware of how discerning (picky), tasteful (picky), and stylish (picky) I like to be when it comes to my jewelry. My friends will tell you about many times they have come to my house to find me lounging around wearing my pajamas, fuzzy socks, uncombed hair…and every piece of jewelry I own. Josh is a very logical person. He’s the kind of person that researches small decisions for weeks before making the most logical choice. Getting married was one of the biggest decisions of his life, and he didn’t want to blow it. Josh made the logical choice. He decided to use a Stunt Ring. If you’ve never heard of it, a Stunt Ring is a time honored tradition for guys who have the good fortune (misfortune?) of falling in love with picky ladies. It’s used as a stand-in for the proposal so that the guy still has the opportunity to give his sweetie the surprise of her life. 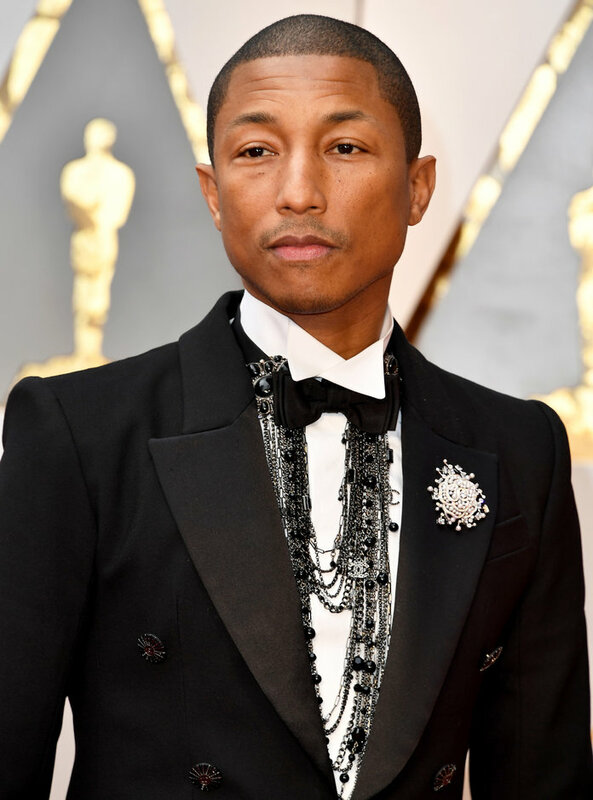 Usually, it’s a very simple temporary band and setting that can be exchanged later for a piece that is sized to her finger and suited to her needs. It’s the perfect way to surprise her, while still ensuring she gets the setting she loves. Remember, this ring will be on her finger for the rest of her life, so it needs to be just right. Plus, you never want to wonder if she’d rather have something different. After it has served its purpose, the stunt ring can be returned or made into another piece of everyday jewelry. Little did he know, I’m so crazy about him I probably would have said yes to a ring made of a gum wrapper, but I got the best guy on the planet, and he really spoils me. After I stopped jumping up and down and calling all of my friends to relay the good news, I embarked on a journey of creativity. 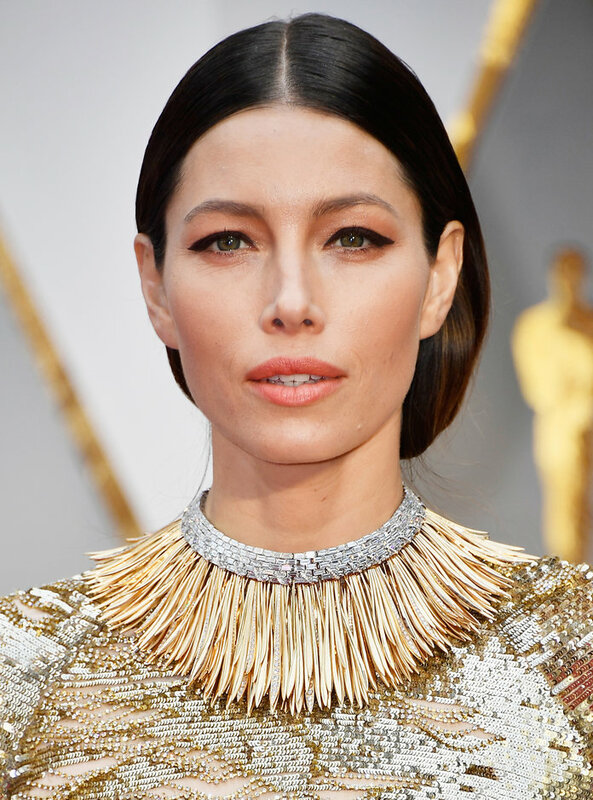 Like a lot of women, I had a specific idea of the kinds of jewelry that suited my tastes, flattered my style, and looked good with my everyday outfits. 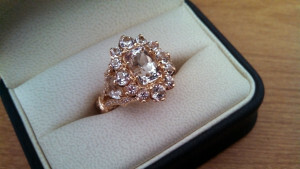 I began to collect photos of rings I liked, with the goal of merging all of the styles I liked into one finished piece. My burgeoning Pinterest inspiration board at one point had over 250 photos before I began to focus my ideas into something more coherent. A few of the styles I considered before settling on a final design. Does one look familiar? The custom design process is an amazing blend of traditional craftsmanship with modern technology. After roughing out a design on paper, we transfer the concept to a digital format. Using a program like Photoshop, we take all of the photos, sketches, and ideas, and begin to create a ring that looks a bit like Frankenstein’s monster. At this point in the custom design process, a lot of people want to run screaming for the hills. A little perseverance pays off though! My ring in its “Frankenstein” phase. I ended up not having a wedding band, since the engagement ring itself was so ornate. I used elements from lots of rings I had seen and liked, but none of them had everything I wanted. Once your idea has been fleshed out to this point, the next step is to take the drawings into a computer aided drafting software. We use a software called Matrix. Matrix gives us a lot of flexibility when it comes to design. 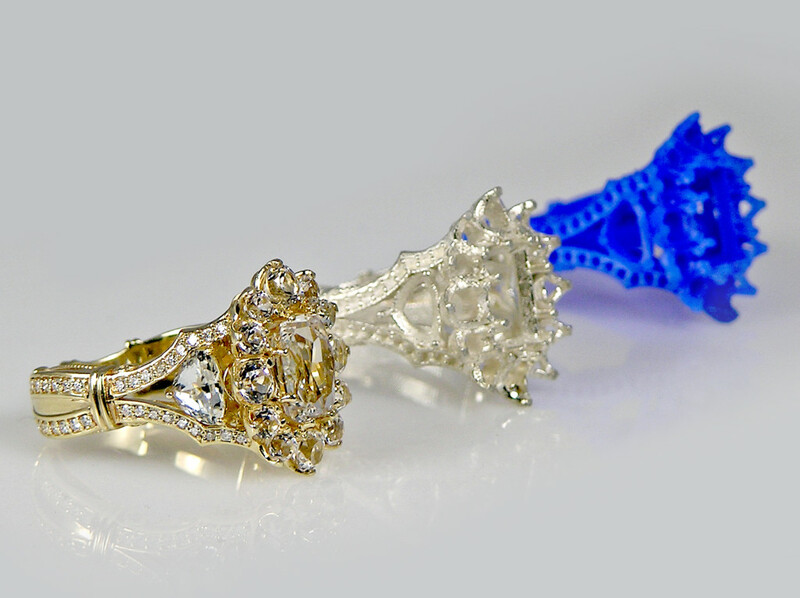 Just take a look at the way this ring came to life in 3D! The crown of the ring begins to take shape. Looking like a ring now! What’s great about digital design is that you can see EXACTLY what the final ring will look like, no question. The photos to the left show the final digital models of my ring, and except for the prongs around the crown, which smooth out slightly when the stones are set, the ring on my finger is absolutely identical to these photos. 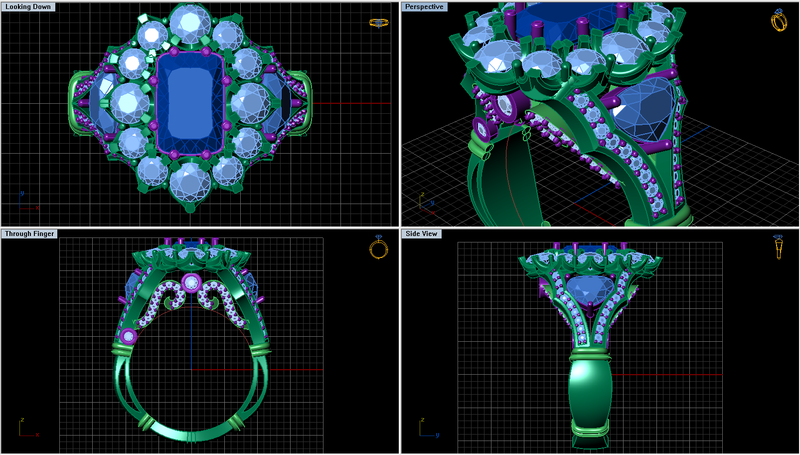 At this point in the design process, we have a really good idea of the dimensions of the final ring, so we can begin planning out what kind of stones we will need (of course using a digital process also allows us to create a piece especially for a stone of a certain size). 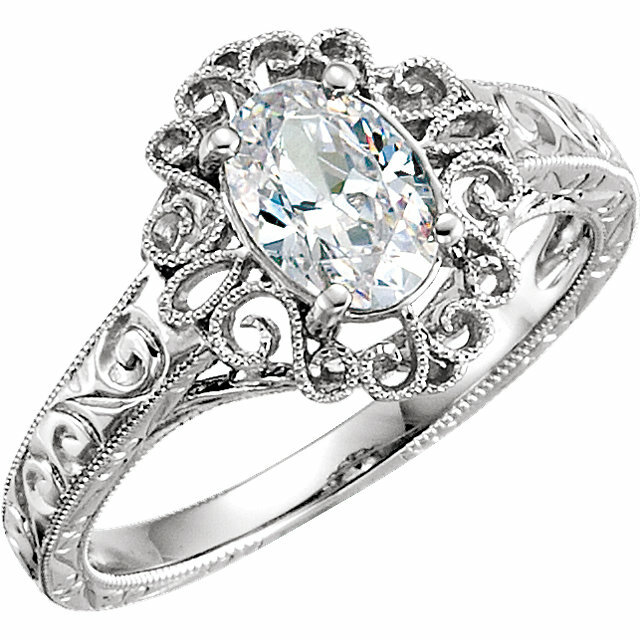 The accent stones on this ring are diamond, while the stones at the crown are topaz, a stone that I have always loved because of its vintage, watery look. My dad is a fourth generation stonecutter, so he began by selecting just the right rough stones from his extensive collection. Each stone was carefully checked for color and clarity. He then hand cut and polished each stone so that they would perfectly complement the setting. While it isn’t visible in the photos, he even made the top facet, or table, of the center stone the same shape as the crown of the ring. It’s amazing how much thought goes in to such a small thing, but around here, we really focus on the details so that everything comes out just right. Topaz ready to be cut. Meanwhile, the digital version of the ring was being converted into a wax model. The process for this is truly a marvel of modern technology, as the wax models are actually made by a state-of-the-art high definition 3D printer. This is the best way to ensure that all of the small details appear in the final setting. The delicate model is carefully checked against the digital version for any discrepancies that could cause problems in the final copy. Once they are cleared for production, the wax models are encased in plaster, which is vacuumed to remove any air bubbles, and then allowed to harden to create a plaster mold. The plaster is subjected to high heat in order to melt and burn the wax out of the mold. 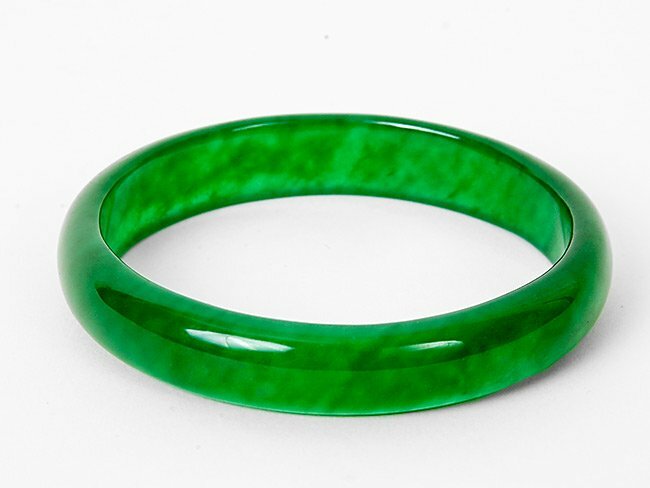 Once the wax is gone, it leaves a perfect impression where the wax ring once was. We then inject molten silver into this void to create a ‘dummy setting’ that can be tried on and checked for sizing. Once the final setting has been created, we can carefully set the finished stones by hand and polish the ring to a high shine. This blend of traditional skill with modern techniques results in some of the most spectacular designs I’ve ever seen. This was the moment I had been waiting for, and it was absolutely worth the wait! Josh gave me my new ring on Valentine’s Day (they didn’t let me see it ahead of time, so it was a big surprise!) and we are both absolutely thrilled with it! I love that it has such a wonderful heritage of being so lovingly made by my dad, and Josh loves that I’m so happy with it. He’s also really pleased to have a piece of jewelry that we can one day pass down to our future children, along with the story of how it was made by their grandfather. What a great thing! This process may look pretty complicated, but it’s actually a lot of fun. Do you have an idea you’d love to bring to life? Come talk to us about it! 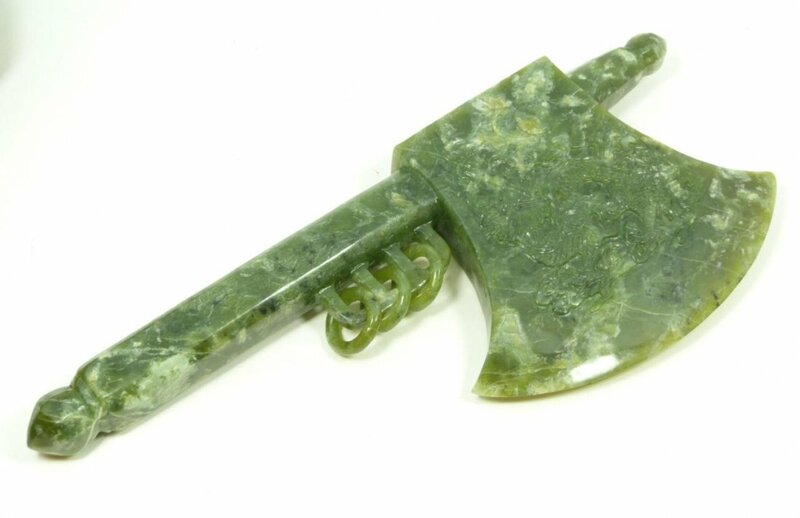 We can reimagine your old jewelry, take a loose stone and make it into a useful piece of jewelry, or even make something unique from scratch! Your imagination is the limit, and there’s no end to the possibilities. 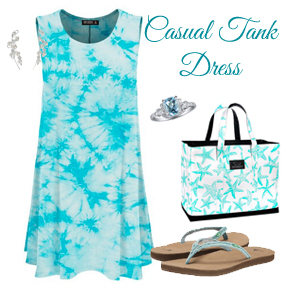 Talk to a Pearl Girl about your custom creation today! Attention Ormond Beach Pearl Girls! Pearls International’s Ormond Beach location on Granada Blvd. will CLOSING on Sunday, but we won’t be far away! We will be open through Saturday, May 9th. 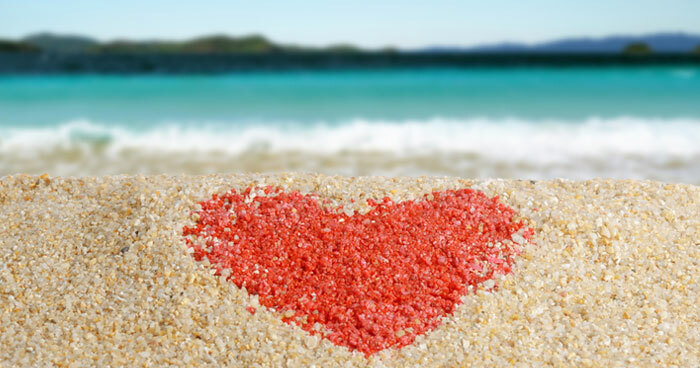 After Mother’s Day, we will still be available for all of your jewelry, repair, and custom design needs right down the beach at 3114 So. Atlantic Avenue! As always, you can reach us by phone at 386.767.3473 or online at www.pearlsinternational.com. We look forward to seeing you again very soon in our flagship shop at 3114 So. Atlantic Avenue! Choosing the Perfect Pearl – Your Guide to Making an Informed Decision. While much of the process of choosing pearls is subjective, and depends on the wearer’s taste, there are a few questions to ask that will ensure that the pearls you choose will be of the highest quality. Just like diamonds have their “4C’s”, pearls have common properties that should be considered as you shop. A pearl’s color is more a matter of personal taste than one of quality, but naturally colored pearls will typically weather trends and fads better than those that have been artificially dyed. 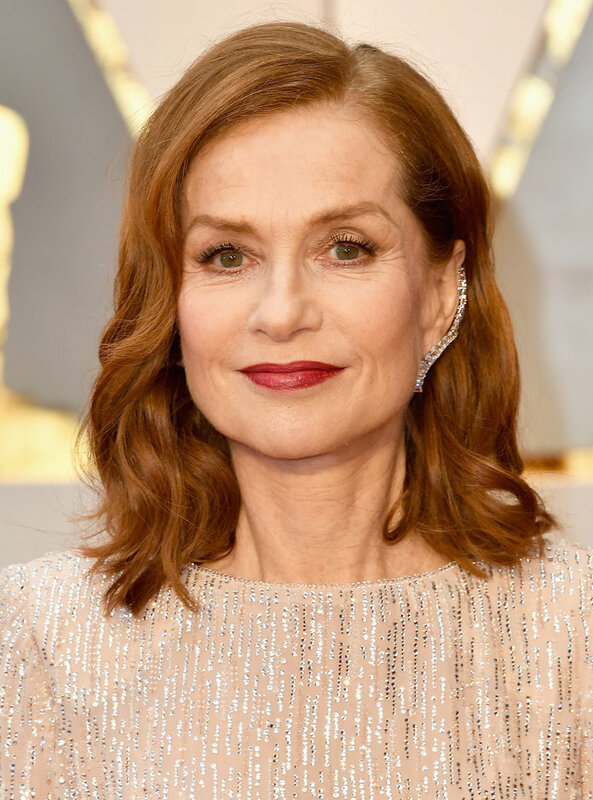 Beware especially bright or garish pearls, as these are almost certainly the result of manmade color processes and the dye can be prone to fading or even wearing off onto skin or clothing. 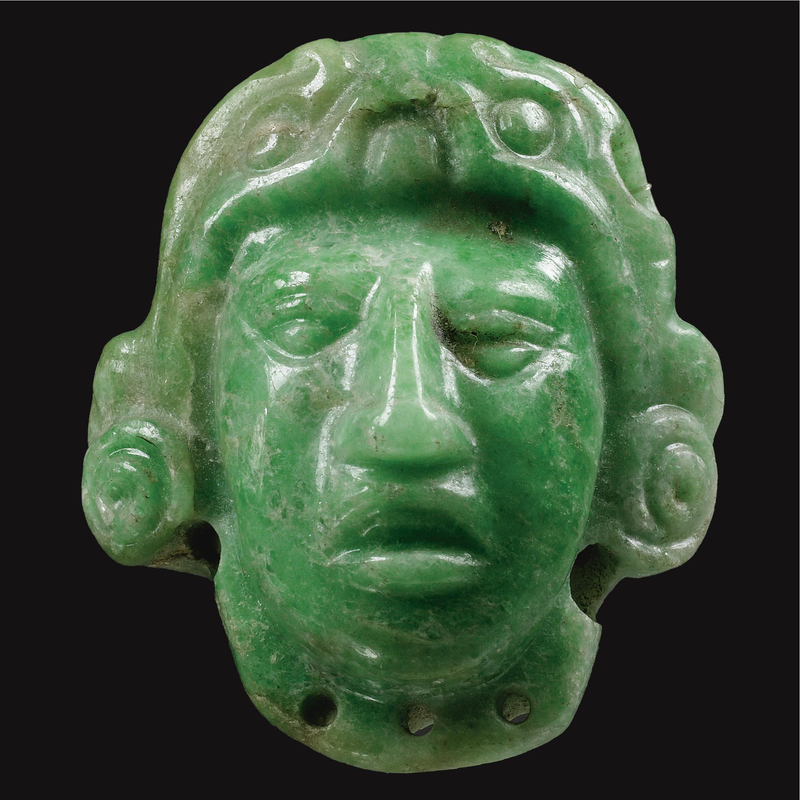 Strong colors may sometimes indicate a lower-quality pearl, as the dye may have been used to disguise unsightly color variations in the surface of the pearl. There are very small differences between orient and overtone. The orient of a pearl is the beautiful iridescent shimmer of color that spreads across its surface. Often, this causes a ‘rainbow’ effect on the surface of the pearl. This color is not the same as the color of the pearl itself, but the iridescence that may seem to dance and move across the pearl as you turn it. In contrast, the overtone of a pearl is the secondary impression of color from a pearl as it is viewed against a white background. 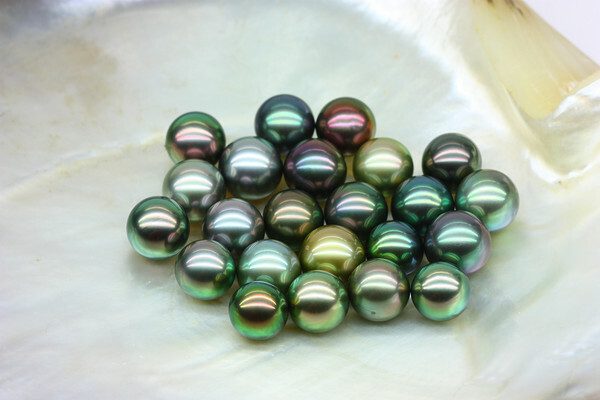 For example, a black pearl may seem to have a subtle blush of green. This color, unlike the orient, does not shimmer, but may differ depending on which side of the pearl is viewed, due to the refraction of light within the pearl. The larger the pearl, the longer it had to remain in the oyster’s shell, and as a result, these are usually more costly. Very large pearls are a rarity, due to the cost of producing them. Consider that the oysters must be kept healthy and safe from predators, parasites, and destruction of their natural habitat for several years while the pearl is allowed to form. Additionally, the extra time in the shell increases the likelihood of blemishes forming on the pearl as small imperfections in the nacre are magnified as they are coated. 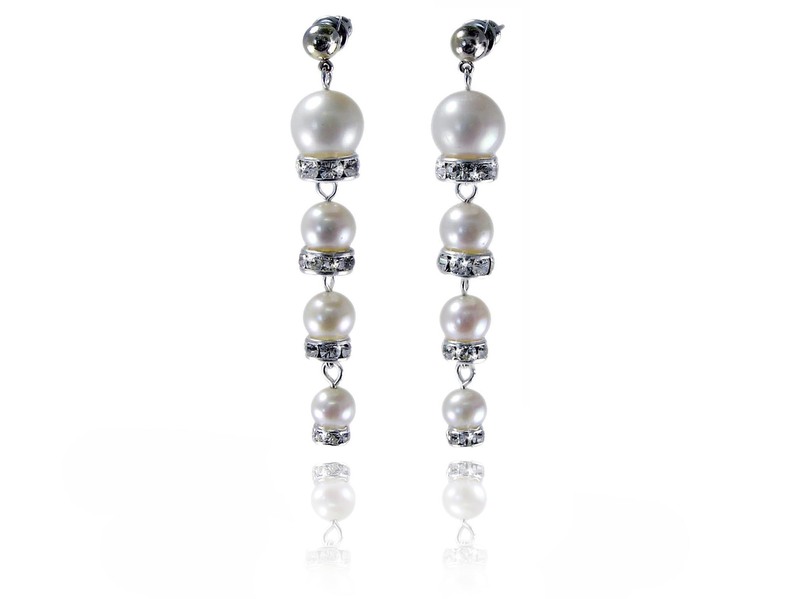 Flawless pearls of a large size will command very high prices. Surface indicates the perfection of the exterior of the pearl itself. Higher quality surfaces have very few marks, bumps, ripples, or blemishes, indicating that the oyster was very well cared-for during the cultivation process. Pearls that show little to no variation in their surfaces will typically cost more than those with a few marks here and there. Regularity refers to the shape of a pearl. The more spherical the pearl, the more regular it is said to be. No pearl is perfectly round, but some come close to being spherical. The best pearls are typically smooth and even. Do not pay for a pearl that is absolutely spherical and has no defining marks unless it is certified, as these are probably synthetic, and therefore of low value. A pearl’s luster, or shine, is determined by the layers of ‘nacre,’ the substance pearls are made of, that coats its central nucleus. Usually, more nacre results in higher luster. The surface curvature of a pearl can also have an effect on the luster, as light passes through the delicate outer layers and refracts off of the aragonite crystals in the pearl, giving the pearl its signature glow. 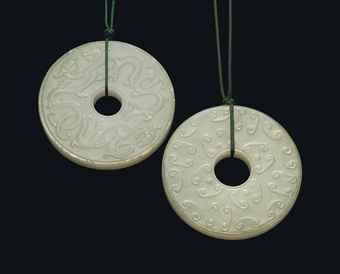 This causes the highly desirable translucent appearance that very fine pearls display. A genuine pearl will typically show minor variations in shape, color, and surface. Truly perfect pearls are rarely real, but may be simply convincing fakes. One way to test their authenticity (although this test can be fooled) is to gently rub the pearl on the edge of your tooth. 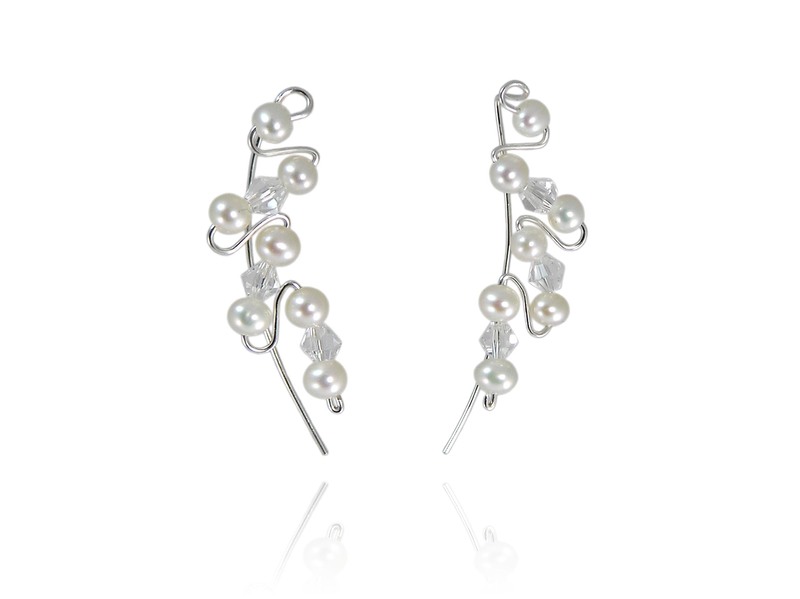 Genuine pearls will feel very slightly gritty, due to their crystalline structure, while faux pearls and glass pearls will feel smooth and silky. The exception to this rule is composite, or “shell” pearls, which are created by grinding low-quality pearls into a powder and then reconstituting them using epoxy or acrylic. Due to their nacre content, these will feel gritty to the teeth, but since they are usually perfectly round, they are easy to spot and avoid. Plastic: Ultra-shiny, easy to chip the paint. Very lightweight. Usually unknotted. Smooth to the tooth. Glass: Higher quality, usually knotted in between and heavy. Look for paint flaking near the drill-holes. Smooth to the tooth. Mallorca: A specific variety of glass pearl, very high quality and usually difficult to identify. 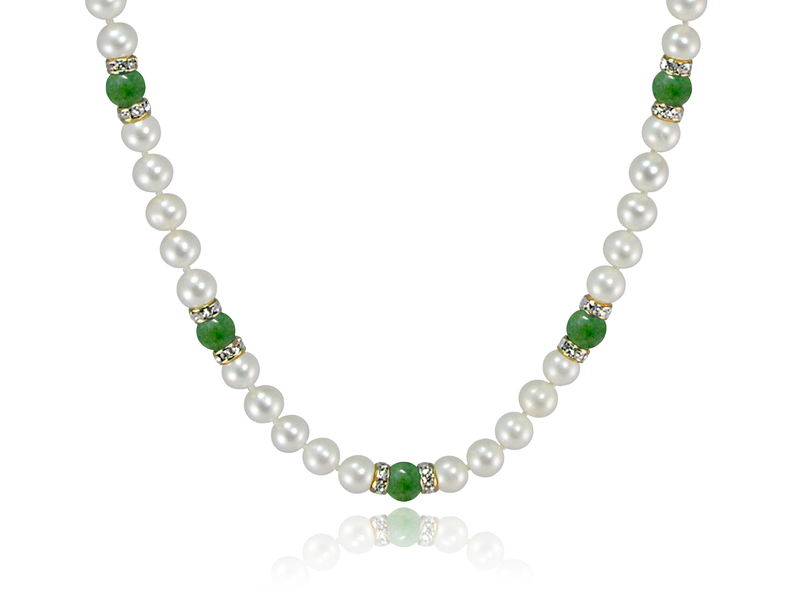 The paint is very similar in luster to real pearls, but if on a strand, will be perfectly uniform. Smooth to the tooth. 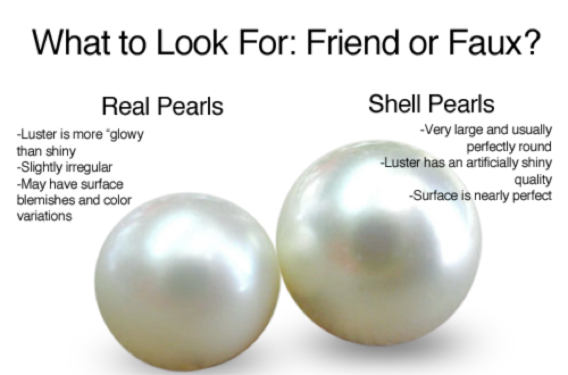 Check out our post on Real vs. Faux pearls for more info on Authenticity!